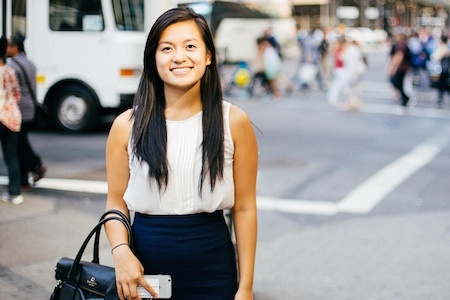 Ellen Jin is a former Morgan Stanley intern who recently joined the firm on a full-time basis. Jin works as an analyst in the firm’s Credit Risk Department. Last month, Jin spoke to Vault about how she landed her internship and why she took a full-time position with Morgan Stanley. She also offered some advice for students looking for financial services internships. Below is an excerpt of that conversation. VAULT: Where did you grow up and go to school? And how did you find your way to Morgan Stanley? ELLEN JIN: I was born and raised in New York; I grew up in Queens. My mom was involved in her own business startup, so I was exposed to business at an early age and was interested in it. When it came time to considering majors and colleges, I considered business and applied to Baruch College. I was accepted into the school’s Dean’s Scholars Program. At college, no one was holding your hand about careers; I had to do my own research. Fortunately, Baruch has a strong community of students who join various clubs and organizations on campus, and it also has a pretty robust career development center. The on-campus professional organizations are good ways to find mentors, and to learn about finance, marketing, accounting, or any other business majors. My freshman year, I joined a business organization and was fortunate enough to get a mentor through that. My mentor encouraged me to get an internship even though I was just a freshman with no prior experience, and I ended up getting one with a small startup (it was an unpaid internship)—we all have to start somewhere. My sophomore year I got an internship in the tax department at another financial services company. I didn’t know if tax was for me. But since accounting is essential in every finance role, I also thought, Why not? So I did that for a year, and toward the end I realized that accounting wasn’t for me. At that point, I needed to consider other options. I knew I was interested in finance but didn’t know what part of finance I was most interested in. After my tax internship, I worked for Debtwire, a fixed-income research firm, for two semesters. At the time, I was one of 30 students to be selected for the Financial Leadership Program at Baruch—a prestigious program run by our career center specifically for juniors majoring in finance. One of the things we were exposed to was the recruiting process at banks and other financial institutions. So I heard about Morgan Stanley and other banks that way, as well as through various networking events, where banks and other companies come to campus. I was able to learn about different careers in finance just from listening to and speaking with professionals at these events. I also had a friend who worked at Morgan Stanley in Credit Risk and he connected me with some of his colleagues. He also gave me a good idea of what the job was like and what the culture was like, and I ended up interviewing with Morgan Stanley and received an offer to join the firm’s rotational internship program the summer after my junior year. VAULT: What was the internship interview process like? EJ: There were two rounds. The first round was on campus and was mainly behavioral-focused. There was one company representative that interviewed me for 30 minutes. The second and final round was about a month later and had two parts. First was a group exercise to see how well you worked in teams and to test your problem solving skills. Each group of six to eight people sat around a table in a room where we were observed by people at the firm at various levels: executive director, VP, associate, and analyst. There’s also someone from HR at the head of the table. They really get you into the exercise, into what you’re doing, so you don’t even realize all these people are watching you. It ended with me having to give a three-minute presentation. After the group exercise, there were three back-to-back interviews. One interview was very focused on behavior; I was asked open-ended questions to test my thought process. Another was focused on my resume and skill sets. And the third was a mixture of those and also included accounting-related questions. They were all 30 minutes long but went by very quickly. VAULT: How big is the summer intern class in Credit Risk? EJ: When I interned, there were six summer analysts in Credit Risk. VAULT: Can you talk a little about what credit risk is and what the group does? EJ: There’s a funny example someone gave me when I started as an intern. Say you’re a cab driver and you stop to pick someone up and that person is completely naked. Would you take that person to a destination? Your first impression is they have nothing on them, so they probably don’t have any money, and they also don’t have anything that could substitute for money. And the fact that they’re naked sort of speaks to their character. So, you’re probably not going to risk taking them to a destination—they probably won’t pay their fare. That example gave me a good insight into the basics of credit risk—which is looking at a client’s finances and asking if they have the financial ability to not only pay their contractual obligations now, but also when their loan or loans come due. Many people think of credit risk analysis as focused on financial ratios or historical financial performance, but along with quantitative analyses, there are also qualitative aspects you have to look at. Does the client have good corporate governance in place? What’s their management team like—has the team been doing well? Has there been a lot of turnover? In addition to that, you also look at the overall macro environment as well as the client’s industry to see how they’re performing relative to their peers. So, there are a lot of factors we look at in Credit Risk and there’s always a different approach to take depending on the company. Day to day, we’re working with GCM [Global Capital Markets] and IBD [the Investment Banking Division] and even traders as well. Wherever Morgan Stanley is taking on risk, as in whenever Morgan Stanley will be owed money, that’s where we need to be. We work on deals with IBD. If a company requires financing from Morgan Stanley for an M&A deal, we’ll be brought in to make sure the bank isn’t taking too much risk. It’s important to point out that we’re not here to minimize risk—you generate revenue from taking on risk—but to make sure the firm is taking on the appropriate amount of risk for the return. VAULT: Why did you ultimately choose to accept a full-time job offer with Morgan Stanley? EJ: I interviewed at other places and received other offers, but I took the offer with Morgan Stanley mainly because I found Credit Risk to be interesting and, during my internship, I worked with very intelligent people. In fact, my first thought after my internship at Morgan Stanley was: that was fun. I really enjoyed working with the Credit Risk professionals on the floor and it was also fun working with the other Credit Risk summer analysts—the peers that I had were awesome. We had lunch every day together, talked to each other about our personal lives, hung out after work. And after the internship, we kept in touch. There was a lot of camaraderie. Coming into this new environment was a bit intimidating at first, but after interacting with people on the floor, I realized that was not the case and everyone was great. Even very high-level professionals were open to you asking them questions. 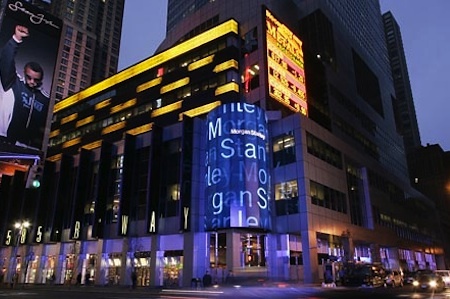 Morgan Stanley is focused on building from the bottom up, from interns to senior management. On a weekly basis, you’re sitting in the room with senior management, and although they’re really busy, they’ll take the time to teach you and talk to you. That gave me a very good impression. The work was also interesting, which was an added bonus, and that made me want to come back. VAULT: What would you say is the best part of your job? EJ: The exposure to senior management and the people I work with. I’m fortunate enough to be working on a small team where I get to work closely with the team leader. I’m given a lot of responsibility, but no one just throws responsibility on you; they make sure you can handle it, and they’re interested in your advancement. Every member of my team looks out for my best interest, and I very much appreciate the open-door policy that all senior leaders have. It’s so easy to ask questions and learn from them. I’m still new and will always have questions, and if I can’t ask them, then it’s not going to help me at all to do my job. They understand that. 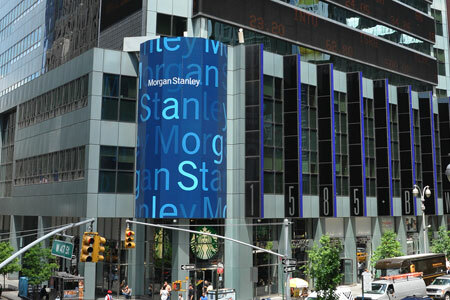 VAULT: Do you have any recommendations for college students who might want to work for Morgan Stanley as an intern or full time? EJ: I encourage freshman and sophomores to get an internship—and not be picky. Getting an internship with little to no experience will be hard, so take any opportunity that’s given to you. Meanwhile, get yourself a network within Morgan Stanley and other banks to try to find out what the day-to-day work is like, to see what you’d be interested in, then you can start formulating a plan for where you’d like to end up. For sophomores and juniors, make sure you’re on top of recruiting timetables and on-campus networking events. Stay connected with whomever you meet, and don’t give up. Another thing I recommend is to network with other university seniors who’ve gone through the finance recruiting process and who might’ve already worked as an intern. This is not necessarily to help you get an internship but rather to help you learn more about the interviewing process and the bank culture. This is your first stop and the easiest network you have access to. Then move on to your alumni network. At Baruch, we have a huge alumni network. Utilizing your school’s alumni network will help you open doors during your career search. You’ll likely find that at most of the top banks there’ll be people from your college who’ve worked there. I doubt anyone will say that using their alumni network was easy; you won’t always get a reply to your messages. But I know that when I get an email from a Baruch address, I’m much more likely to read it and reply. And if that doesn’t work out, I recommend using LinkedIn and cold emailing people. It’s tough; you’ll probably have to email a lot of people and might even end up with no replies. But when you finally get to that one person who says, ‘Hey, let’s grab coffee,’ it’s going to change everything. This post was sponsored by Morgan Stanley.